The only European member of this otherwise extra-European genus is instantly and easily recognized due to its specific appearance. 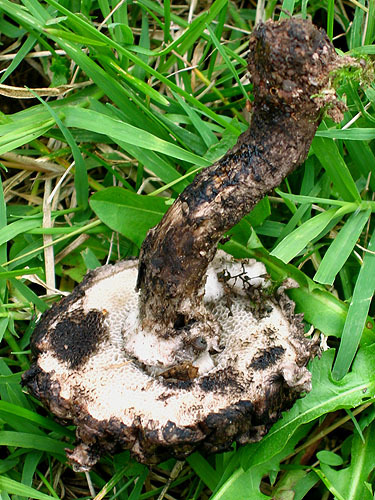 Strobilomyces strobilaceus (Scop. : Fr.) Berk. 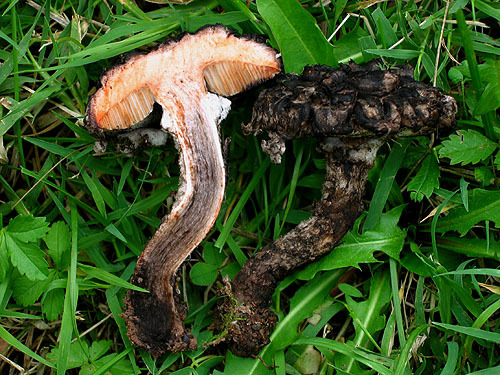 Fruitbodies with partial veil, quickly disrupting and leaving remnants on the cap margin and fugacious cottony ring in the upper portion of the stipe. Cap up to 10 cm, at first hemispherical then expanding to convex, dark grey with some whitish areas, soon almost entirely black, covered with large black wooly scales; margin overhanging. Stipe more or less cylindrical or club-shaped, almost concolorous with the cap, scaly. Flesh white, almost immediately reddening when exposed to air, then changing to grey-violaceous, grey or almost black. Tubes whitish, reddening when exposed to air. 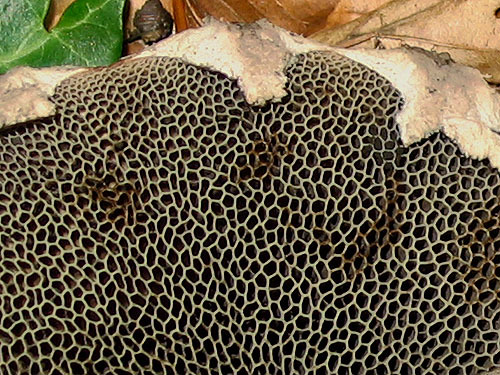 Pores at first whitish, then grayish to almost black, bruising red, then quickly blackening. Smell not distinctive. Taste mild. 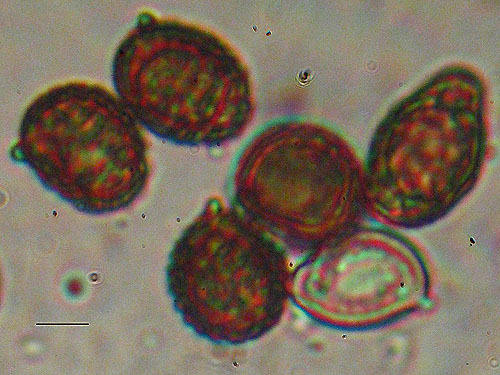 Spores subglobose, distinctly reticulate, 8.5–14.5 × 7–11 μm. Habitat. Broadleaf and mixed forests, mycorrhizal with beech (Fagus), oaks (Quercus) or sweet chestnut (Castanea). Distribution. 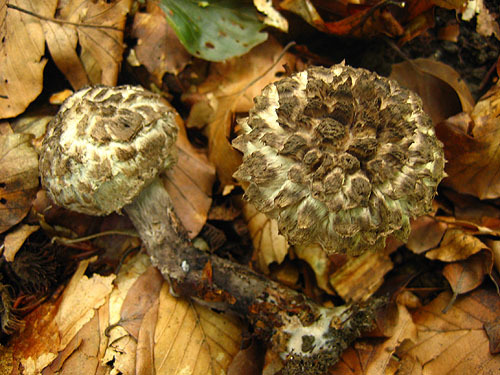 Widespread throughout Europe, but rare and redlisted in many countries.